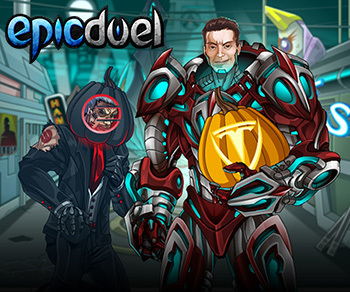 Carve a pumpkin themed around the Elon Musk event in EpicDuel! Be creative! You can reference Elon Musk, Tesla Motors, SolarCity, SpaceX, or anything Elon Musk related. Share your picture or video on the Facebook or Twitter pages of Elon Musk’s companies. Include the hashtag #EpicDuelContest in the text of all entries so we can easily find your entries. The contest will end on Wednesday, November 6, 2013, at 5pm ET. You may submit multiple entries, but prizes are limited to one per person. Varium prizes will be awarded when we roll the release live on Friday, November 8, 2013. 10 players that submit the most relevant and creative pumpkins will be selected by hand by the EpicDuel staff. Each Grand Prize winner will be awarded 10,000 Varium! Any player that submits a picture or video that manages to get a Facebook share or Twitter retweet from Elon Musk, Tesla Motors, SolarCity, or SpaceX will be awarded 50,000 Varium! You are welcome to think outside the box and submit other non-pumpkin creative entries for our consideration. Just remember that all entries should be fall themed with a focus on the Elon Musk event taking place in EpicDuel. You can enter as many pumpkins as you like, but remember, please don’t spam your entry or you will be disqualified! You can only win once per person! Get Carving! We look forward to seeing your submissions!